March 2014: Ways in which I’m not a foodie | A party of one. I’m not a perfect foodie. For as much as I cook and dine out, and research restaurants and recipes, and read chefs’ memoirs and food magazines, and bore and offend people with my meat small talk, and fall asleep in the middle of food history books and glasses of wine, there’s a lot out there I don’t know, don’t like, and don’t want to do. And a few things that I don’t care about, too. Here is a modest list. I won’t stand in line for hours to try a cronut. I did think about standing in line for the ramen burger, though. I don’t like baking nearly as much as I did before I was 25. Ditto for drinking vodka, gin, tequila, and beer. My poached eggs look like galaxies. I usually drive really far to buy premade curry paste from this one Thai grocery store, rather than buy all of the ingredients needed to make my own curry paste, also sold at this one Thai grocery store. Corn starch weirds me out. While I have made vegan, gluten-free meat substitutes and breads out of sheer curiosity and scientific pursuit, it was before everyone went vegan and gluten-free. I probably wouldn’t experiment again any time soon for fear of encouraging people. I will never, ever, ever do a “juice cleanse.” Unless a food blog pays me to do it and write about it. But I think people are crazy torturing their digestive systems with these dumb fad diets. If you want to feel really good, get off caffeine, drink more water, cook from scratch, and exercise! It makes me so happy when I come across a restaurant that still serves complimentary bread before a meal, but a little sad when they serve a homemade spread or olive oil with fresh black pepper instead of good old salty butter. I order mostly meat dishes at small plates restaurants even when they’re known for their vegetable dishes. I’ve said it a bazillion times on this blog already, but I hate it when small plates restaurants make you order everything all at once, and they send everything out all at once, and they expect you to share everything, and dishes pile up and get cold and there’s no room on the table and everyone gets half a bite of this teeny tiny food. I’m so into restaurants with entrees right now. Beef tongue and tripe excite me more than an expensive steak. Even though I love both, sushi and raw oysters frustrate me because I don’t like singular bites to cost $2 or more. I really wish I wanted to keep chickens or bees. But when I think about it, I immediately think, no. 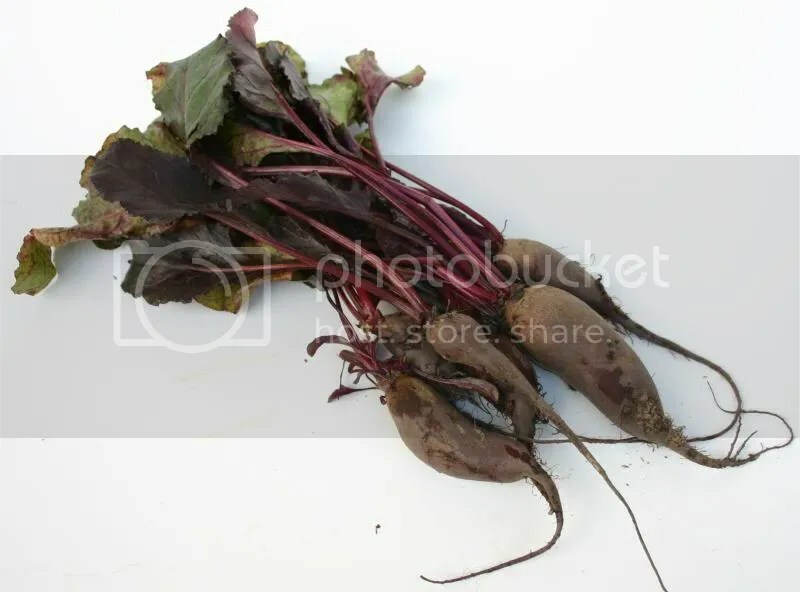 Even though it’s considered really old-fashioned, I prefer boiling beets to roasting them. I have a hard time with slow braise recipes because I wait too long to get the meat in the oven and then we eat at ten. Also, I’m impatient. Every time I make bread, I’m surprised it turned out okay. I’ve never made a lasagna. I undercook meat all the time. When roasting whole chickens, I tie the legs together instead of properly trussing them, because I never remember how and I’m too lazy to look up the instructional video on Youtube, as adorable as it is. And I use sewing thread. I haven’t had proper cooking twine around in a really long time. I’ve never spatchcocked a chicken, or turkduckened a turducken. I’ve also never made a bacon weave and this makes me a little sad. I don’t have a microwave. But that could mean I’m, like, the ultimate foodie, because I make everything fresh. That’s it! Cilantro usually goes bad on me before I can use it all. Also, ever since my mom said it tasted really soapy to her, I haven’t been able to enjoy it quite as much as I used to. For the not-infrequent-enough occasions when I need a huge bowl of pasta with processed tomato sauce, I buy Classico’s Sweet Basil Marinara Sauce, which is basically the Froot Loops of jarred tomato sauces. I cook with salted butter sometimes. Some of my spices are probably a year past their expiration, and it doesn’t bother me that much. I have a hard time remembering which spices are spice blends versus one spice. I love eating nuts by themselves, but I don’t often like them in my food, unless we’re talking romesco or pesto. Also very particular about the presence of red bell peppers and tomatoes in my food. The dish needs to be about them. They can’t just be sort of there. Tomato soup with red peppers in it — that really pisses me off. I keep peanut butter around for two reasons: making Thai peanut sauce, and getting my dog to take her flea and tick pill. My secret ingredient in pretty much every picnic side dish is pickle juice. I prefer canned peaches and grapes to fresh. I don’t care that much that so many restaurants call flavored mayonnaise “aioli.” Close enough. Tastes good. What is Orange Julius? Or is it more proper to say, what is an Orange Julius? 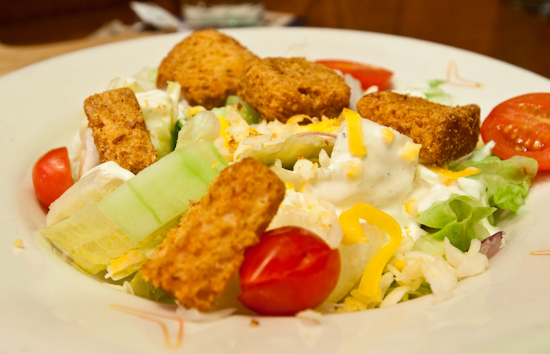 If I could have only one restaurant side salad ever again, it would be the Outback Steakhouse house salad with honey mustard dressing, with the pound of cheddar cheese and butter croutons and raw red onions. I prefer grocery store hummus and tzatziki sauce to my own. My freezer is where fresh food goes to die and never see the light of day again. I should technically be eating new things all the time, but I’ve had yogurt for breakfast on weekdays for most of 12 years. And I can’t pronounce any of it. Sometimes I drink a little too much wine while I’m cooking and forget a pretty important ingredient. I prefer flour tortillas to corn. Not a huge fan of sriracha, or any hot sauce that’s really vinegary. I only use lemons when I absolutely have to. I don’t want it anywhere near my seafood. I’m a little scared of candying ever again because of how close I’ve come to melting my hand off. For similar reasons, I don’t love using my mandoline. I haven’t eaten Russian food in LA yet. Or had a late night dirty dog. I enjoyed reading that! Really funny.